LATEST | Solar Battery Storage Systems Perth WA 2019. Latest Solar Battery Storage Perth WA 2019. It all depends on what you require. As an entry point, solar battery storage systems in Perth WA are available from as low as $2990 installed. Rated at 1.2 kWh, this is unlikely to deliver any real satisfaction based on a number of key factors which you’ll soon discover. Therefore, what solar battery system is right for you and what is it realistically going to cost? The great news! A lot less per kWh. Fully installed solar battery system prices and more. Combined solar panel system option (if required). Exclusive discounts & interactive price guide. Payment plan options & more! The latest PSW fully installed solar battery system price list for Perth WA is a must view before buying a solar battery system. A good understanding of your consumption habits will ultimately determine what solar battery storage system and how much storage capacity you require. I’ll get back to this shortly. In the same way a Toyota Hilux is a completely different car to a Ford Fiesta, no two solar battery systems are the same. How you decide if a vehicle is fit for your specific purpose, as in if you need a go everywhere 4×4 or an inner city buzz box, solar battery systems are often grouped in a similar fashion. Consider this, both above listed cars have 4 wheels, posses a 4 cylinder engine, transport people from A-B, yet we can in most instances agree there is a very big difference between the two vehicles and what they can do. Respectively the prices reflect such. In its simplest most affordable format, modern solar battery systems are designed primarily as a peak load shaving device. Store excess solar energy during the day to be consumed at night. This in-turn results in the added bill reduction you desire. That’s the primary purpose what you want a solar battery system for right? But now, what if the power goes out? As in a similar fashion where you wouldn’t expect a Ford Fiesta to start climbing mountains when the road stops, don’t expect a solar battery to be your endless power reserve. Going back to its primary purpose, the MODERN solar battery system is recognised more for its bill saving abilities and not necessarily the ability to provide power in the event of a grid failure. Above: peak load shaving assists greater bill reduction. If you are thinking of a solar battery system as a back-up power supply, forget return on investment calculations. Why? because as soon as you add back-up power functionality additional expense is added to the solar battery system cost. The solar battery system now becomes primarily a back-up power supply in the event of a grid failure and a load shaving device second. In addition, if your primary purposes is a backup power supply most modern batteries won’t discharge beyond 25% (for load shaving) to ensure a power reserve for a potential grid failure. In a nutshell, daily battery cycling is limited to only discharging 75% of its rated capacity. As such, further extending potential return on investment (in energy savings) calculations. What battery do you require? 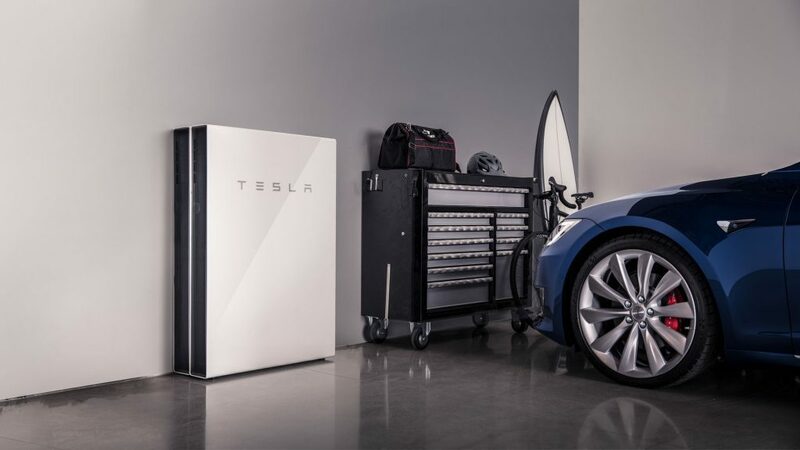 In most instances, many residential Perth WA homeowners will adopt an AC coupled solar battery system such as the Tesla Powerwall 2, SENEC or Sonnen. AC coupled solar battery systems provide seamless integration with most new solar systems and as a very big bonus, are easily retrofitted to most existing solar energy system. DC Coupled solar battery systems such as LG Chem or BYD will more likely arrive in 1 of 2 formats. High voltage or low voltage. Both high-voltage and low-voltage solar battery system options will ultimately be limited by the solar battery inverter you’ve selected. Note: Both AC coupled and DC coupled solar battery system options have the ability to be a basic (more affordable) peak load shaving device or a dependable back-up power supply in the event of a grid-failure. As a general rule of thumb, there is a very easy calculation to work out solar battery storage system cost no matter whether it’s AC coupled or DC coupled. $1000 per kWH. Some more depending on your requirements, some a little less depending on your current infrastructure. 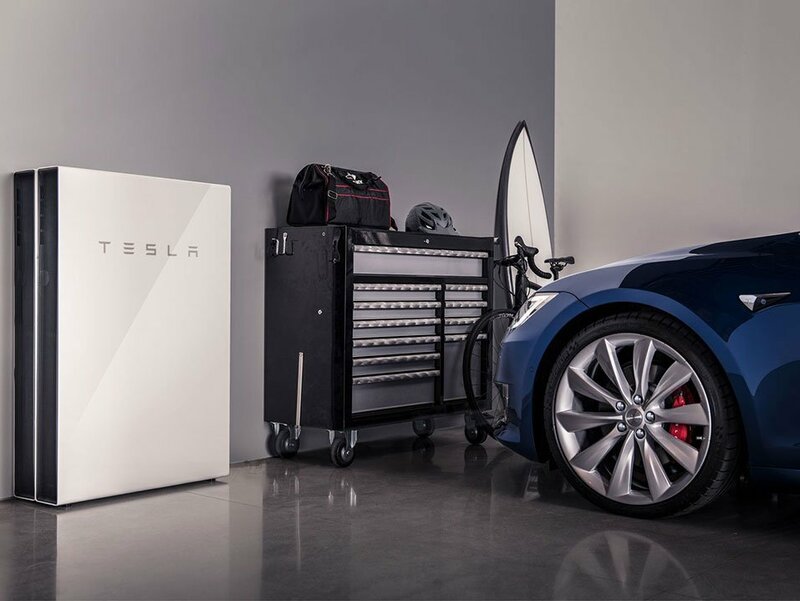 With such an expense, it’s important to be accurate on the amount of storage capacity you require as the price difference between a 6kWh battery and a 13 kWh battery is approximately $7000. How to size your battery requirement? Most major brand solar inverter technologies now produce energy consumption meters which are connected to the inverter via a communications cable back to the electrical switchboard. Delivering energy consumption and export data through you solar monitoring portal. IMPORTANT: These energy consumption meters/ smart meters are not your Western Power/ Synergy meter. They are an additional device which you must almost always request and will cost anywhere from $200 – $990 installed with a solar energy system installation. A good understanding of your consumption habits will ultimately determine what solar battery storage system and how much storage capacity you require. The most common sizing for solar battery storage systems in average Perth WA homes range from 10 kWH – 13 kWH capacity. Primarily for peak load shaving, saving a few kWH selecting aright right solar battery size can have a resounding impact on your outlay requirements. Above: 3rd party Solar Analytics takes energy monitoring one step further with a handy battery sizing calculator integrated by assessing your historical data (see 2min 48 sec mark). Of course you do! Solar battery storage systems have been the missing link in solar for too long in Perth WA. There is good reason to be excited and that’s why you’re here! Skip the sales hype and get the best value guaranteed for whatever solar battery system you you seek. Select options via Perth’s largest online solar & battery superstore in Perth Solar Warehouse & PSW Energy, a trusted CEC Accredited Solar Retailer with Perth’s most satisfied solar customers! Perth local, proud father, licensed electrician (20-yrs), CEC accredited solar installer & designer (10-yrs).